Elmdene 2405 24V 5A Power Supply and Charger is a general purpose power supply and charger which is also ideal as a cost effective product for fire and security applications. This power supply has a metal enclosure with space for upto 2 x 12V 7Ah Sealed Lead Acid Standby Batteries. The unit also features an open collector fault output which outputs on mains fail, output fuse failure and output overload.. The Elmdene 2405 features LED indications for the mains status, output fuse failure and output overload or short circuit. The unit also has electronic overload protection, short circuit electronic overload protection and mains transient protection. UK Manufactured, the Deedlock Electromagnetic Hold Open Magnets are designed to be used in conjunction with any suitable fire alarm system and are approved to BS EN1155: 1997 + A1:2003 and are CE marked. Designed with a holding force of 200N, and are fitted with an integral release button and supplied complete with an adjustable keeper plate. 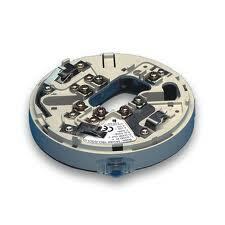 For use with a typical fire alarm system, they require a suitable 24v Dc Power Supply Unit and a Auxilliary Relay.